4 vendors have this plant for sale.32 members have or want this plant for trade. I've had 'Nelly Moser' growing in my Zone 7A, southern Virginia garden for fifteen years at least. I dug it up to move it five years ago, and it transplanted well, growing up through hybrid musk rose 'Sally Holmes,' and furthermore, it has spread as a ground cover in its old spot (which is a tropicals patch now: elephant ears, cannas, fatsia, zebra grass, coleus and hardy bananas), Lovely, vigorous vine. 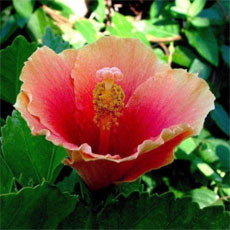 Many small-flowered hybrids are spectacular in flower, and long-blooming. 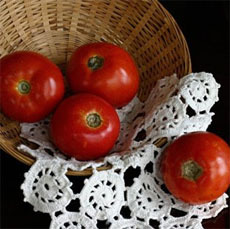 I consider them indispensable, especially the viticella hybrids. I've given up planting large-flowered hybrids, except for 'Jackmannii', which seems to be somewhat resistant. Clematis and tomatoes are two excepti... read moreons to the usual rule, and are best planted 6 inches deeper than the soil level in the pot. This protects the stem bases from mechanical damage, and helps prevent clematis wilt, whose fungus enters where there's damage. It also helps keep the roots cool and more evenly moist. I have collected 'Nelly Moser' seeds in late fall/ early winter and grow them in winter, seeds germinate and grow quickly. 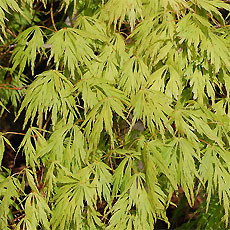 It is very hardy and tolerant shady area than other varieties. Love its large blooms! This is one of the hardiest, most vigorous clematis I've grown here in OKC. However, the color contrast of the blooms fades out to almost white in midday through late afternoon sun here. Ideal light is morning sun only in this hot part of the world. Darker, brighter flowered clematis, like purple Jackmani, do fine with late afternoon sun. 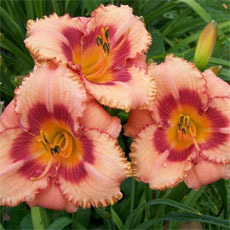 Hate to inform you but 'tcfromky' picture is NOT "NELLY MOSER", BUT "HAGLEY HYBRID". And 'Joy' pictures look more like "DR. RUPPEL". I find sometimes the Loews or Home Depot may have either generic tags or someone may pick up a tag place them in the wrong pot. Sometimes you get a sickly plant on the clearance rack that the tag has blown out of. and then it get's misplaced in wrong pot. I planted Nelly Moser 3 years ago and this is the first year it is blooming. I really wanted it as my daughter's name is Nettie Moser. Clematis has been difficult for me to grow, but now that it is blooming, I'm thrilled. I hope it keeps getting taller and blooms more each year. Do most Clematis take several years to get going? Beautiful flowers. I was spell bound by its beauty this summer. (2008). It filled the trellis and them some. Got many compliments on it. The colors are very vivid. My very first Clematis. Very pretty. I bought this plant as little baby and planted it against the front of our house in Holland, facing S/E. Although the summers are not always warm and sunny it did very well. Became huge in the end (when we left Holland plant was about 9 yrs old) it almost reached the top of our 2 story house. Never did anything much except trim it extensively in early spring before buds came. And once a year some extra fertilizer. I do take the old flowers out though, but in the end that was really too much work because there was so much. Just bought one new baby today, hopefully it will do as well in Atlanta! I have a Nellie Moser and although the roots are shaded well by Ivy and Spirea, it still turns brown and crispy after flowering. However, it does get a lot of hot sun. I am wondering if it's just in the wrong spot,maybe needs a cooler place ?? I am getting more blooms year after year though. I've been told by an expert that Clematis really like some lime around them. I like Nellie Moser - though not one of my favorites, I have a large one that has prospered. I have several vigorous clematis (my favorites are all small-flowered types). I used to have trouble with die back from the bottom up, but learned that its not just direct sun on the roots, but heat itself in very hot weather can do it in. So plant it a bit deeper than it came potted; mulch it deeply (like 3 inches); and then plant a good shading plant in front of it - I find the large sedums perfect; where that doesn't fill the bill, peonies also provide deep cover. This is probably my best growing clematis. I have it planted in several places because stem and leaf cuttings are easily made from the vines. I have even grown seed from it with surprising results; but it does not come true to color from seed. It has climbed 10+' on a lattice by the front doorway, and spreads out on the fence at least 3-4' in each direction. 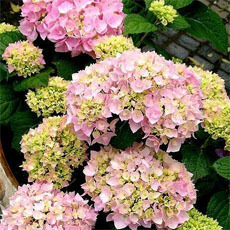 Blooms are very nice, large (5-6-7") and come as early as mid-May and repeat throughout the summer. Very little trouble to grow. firehawk, I've had mine for two years now, too, and I have the same problem. Beautiful blooms, then it starts to die from the bottom up. Brown, crispy foliage and stems. :-( Makes you wonder how it stays alive like that. Nelly Moser seems to be pickier than most regarding its location and conditions. We've been happy with it for a while; sturdier cultivars have taken over now. I loved the flowers on this plant! My only problem is that the two years I've had it, it seems to die back from the bottom up. I get nice flowers and then...boom...the leaves start to turn brown and die. I've moved it and am hoping it will do better. Beautiful plant, though. I have had this plant for about 5 years. After 3 years of growth but no blossoms I asked a radio garden specialist what was the problem. She told me that even though I had had it 3 years, to dig it up and plant it about 3 inches deeper. She said to plant the clematis deeper than where they were in the pot so their roots would be cool. They want sun on the top but cool roots. I did that and have gotten better blooming but nothing spectacular. The only thing I can think is that I do not get enough sun on my top. This is for Shantigohil. Might possibly be your problem. This clematis has huge lovely blooms and the color is very striking. It makes a statement when planted with other perennials. Awarded RHS Award of Garden Merit in 1993. As in one of the pictures, I have spiraled this around my lamppost (and traced it with white lights for Christmas). It has taken almost 4 years, but now I am getting ample blossoms. It was well worth the wait, and a great focal point from the street. The seed pods are wonderful all year. I keep the roots hidden under peonies, and mulched. My Nelly Moser is in an ideal position in its 1st year. 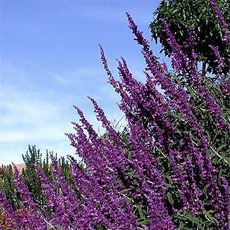 It's growing very well, with excellent foliage, but it has no flower buds at all, although it is 8 feet tall. Can someone please tell me if it normal or am I doing something wrong??? This plant bloomed only twice the first year I had it-early spring and late summer when weather was cooler. 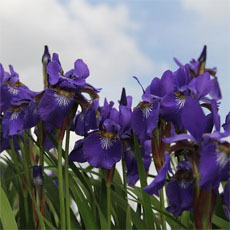 This year it has bloomed continuously throughout spring and into summer. I cut off dead blooms, which seems to help it continue its blooming. Very beautiful plant. I keep it mulched, so the roots don't need any other kind of shade. Hummingbirds love it. 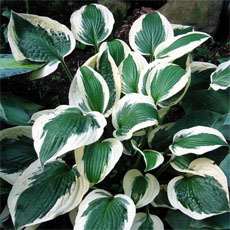 Very fond of this plant: I grow it on a gray, weathered picket fence and it really looks nice! The flowers are large, too (not gigantic, but a really nice size). I think this is the easy-to-grow Clematis, and it seems to be one of the most common. They say the secret is not to let the roots get too hot, so plant a shrub to shade the roots. But, since I live in San Francisco, the roots don't get too hot. It does not like having its roots disturbed. Use bloom food when it is beginning to set flowers. 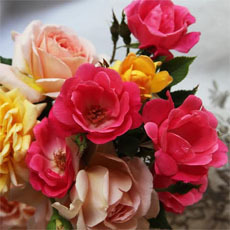 It is good with roses as companions.